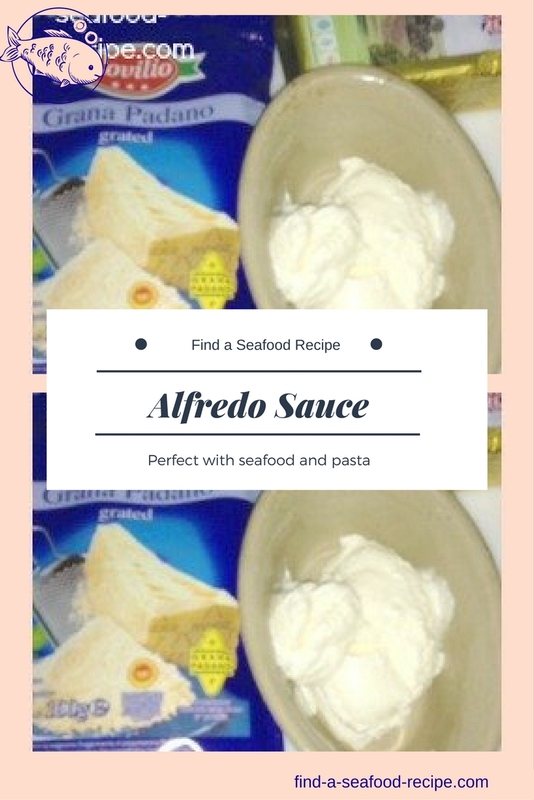 This Alfredo Sauce recipe is so creamy and delicious - it's ideal for the addition of seafood - shrimp, prawns, clams, scallops or lobster - anything you choose and a mixture if you prefer - about 8 oz (225g)in total. 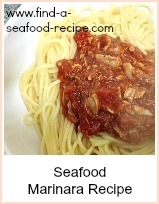 It's most commonly used as a pasta sauce - over spaghetti or fettucine. 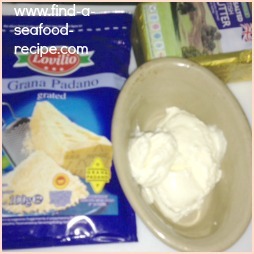 You could use it in a baked seafood dish - just pop the fish into the alfredo and mix through some cooked macaroni or similar short pasta - then sprinkle some grated parmesan over and bake in a hot oven for about 15 minutes until the top is crispy and brown. Put the butter and cream in a pan and stir over a low heat until they are thoroughly combined - don't allow the mixture to boil, as it will separate. Take the pan from the heat and stir in the parmesan - return to the low heat and stir for a minute or so. If you decide to make this a seafood alfredo, then add your mixed seafood (225g/8oz) at the same time as the cheese - taste and season. 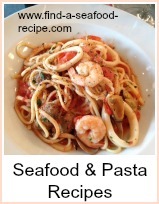 Stir in the chopped parsley and pour the sauce over boiled fettucine or a pasta of your choice.. It could be shrimp (prawns) scallops, calamari, lobster or a seafood cocktail mix. If it’s frozen, then you need to defrost prior to adding to the sauce. If you were to use say a can of salmon, then you need to drain it and flake it prior to adding to the sauce as it would water down the finished result. You could quite easily use cooked poached salmon as an alternative – the pink of the salmon would contrast nicely with the creamy coloured sauce and the chopped parsley sprinkled over. It's really luxurious and is great for a dinner party - very impressive - but you'll need to practice it beforehand, so the family will get a dry run and a tasty meal! 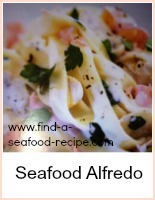 Luxurious but easy to make Alfredo Sauce is perfect with some seafood added and mixed into cooked pasta. It looks and tastes as though you've spent hours on it, but you can make it in a few minutes.